Environmental stresses such as drought, salinity, and heavy metals are the major limiting factors associated with plants, causing collectively more than 50% yield losses worldwide. These unavoidable stresses impair life-sustaining normal physiological and biochemical processes of plants by disrupting the plant-water relationships, generation of reactive oxygen species (ROS), and ion toxicity inside plant cells. Consequently, reduced photosynthetic activity, abrupt changes in vital physiological processes, and degradation of cellular biomolecules lead to reduced crop productivity. Past decade researches have indicated that the microbes play key role in abiotic stress management due to their ubiquitous nature, colonization activity, unique physiology, production of useful secondary metabolites (antimicrobial compounds, VOCs), and most importantly, their application in sustainable agriculture. Furthermore, present-day scientists consider the endophyte-plant partnerships to be more appealing and advantageous as compared to rhizospheric microbes because of their intimate association with host-cell environment that provide the plant’s ability to circumvent various biotic as well as abiotic stresses. 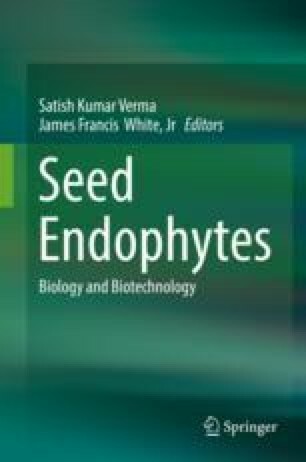 Therefore, present chapter endeavors to review the dynamic role of endophytes in abiotic stress management and their possible application in environmental cleanup for sustainable environment development. Authors are greatly thankful to the Head of Department of Botany, Banaras Hindu University, Varanasi, for providing central lab facility and to UGC and CSIR, New Delhi, for financial assistance in form of JRF and SRF.